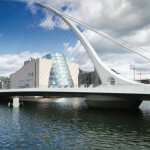 Ireland has been named the best country in the world for business by influential US financial magazine Forbes. It is the first time Ireland has topped the list since it began in 2006. Ireland moved up from number six out of 145 countries analysed last year due to improved scores on monetary freedom and the high return from the Irish Stock Exchange Overall Index. The rest of the top five, in order, includes New Zealand, Hong Kong, Denmark and Sweden. Forbes makes the list by grading 11 different factors: property rights, innovation, taxes, technology, corruption, freedom (personal, trade and monetary), red tape, investor protection and stock market performance. Ireland scored well across the board for business friendliness and very near the top for low tax burden, investor protection and personal freedom. Forbes said that despite Ireland’s recent economic problems, it remained a pro business country that continued to attract investments from some of the world’s biggest companies over the last ten years. The ranking will provide a boost for Ireland as it prepares to exit the bailout programme at the end of the year.